The Millions March NYC: Day of Anger protest takes place today. Anti-police-brutality demonstrators plan to march from Washington Square Park up to Herald Square and back downtown again to One Police Plaza—NYPD headquarters. There is not a count, yet, of how many people are turning out for the demonstration, but it looks crowded. 49,000 people said that they would attend the event on Facebook. 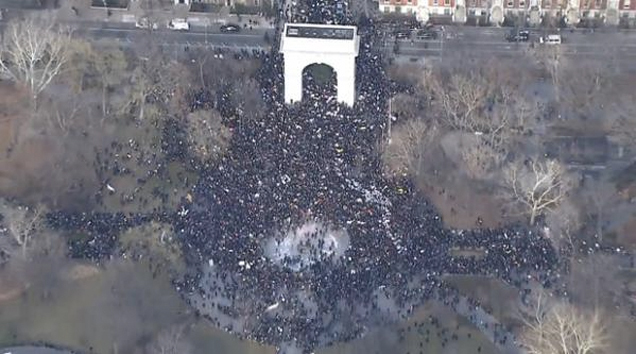 300 New Yorkers travelled to D.C. to join the protests there, the New York Post reported, led by the Rev. Al Sharpton.